The automotive brake system, which is chiefly made up of the brake and brake pads, are crucial safety features that protect both driver and passengers on the road. English engineer Fredrick William Lanchester patented the first disk brake which he used in 1902 on his own automobiles. Disk brakes, however, became a hit only 50 years later. American luxury car Duesenberg was the first to use hydraulic brakes in 1920 but it was Chrysler that first mass-produced cars with brakes in 1924. Formula One racing vehicles, on the other hand, are equipped with the most advanced brakes. Ceramic brake pads are the ultimate in brake pads. They are the most expensive types of brake pads available, but they also last longer than any other type. 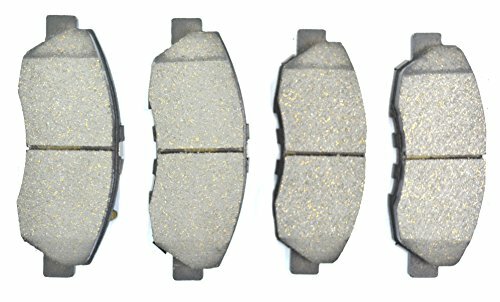 The ceramic compound that these brake pads are made of is great for absorbing the heat that results from any type of continuous and hard, violent braking. In fact, even in endurance racing these ceramic brake pads can stand up to what you put them through, and they work efficiently whether your brakes or warm or cold. They are made with small amounts of copper and clay, which is molded into the compound to make for a strong and long-lasting brake pad. Ceramic brake pads wear down a lot slower than other types; however, they do tend to be a bit pricey. Because of how these brake pads are made, they tend to be quite noisy, and they spew out a lot of brake dust. However, they have excellent heat-transfer capabilities and are made with up to 30% metal, such as copper or steel. They are organic in nature and offer excellent braking capabilities. 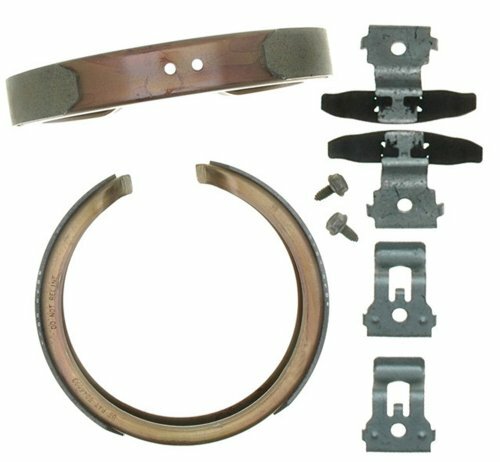 Low-metallic brake pads are great when it comes to braking and heat transfer, and the materials that they are made of are completely organic. Non-metallic brake pads are the softest type of pads, being made of various rubbers, resins, and glasses, along with a small number of metal fibers. The composite material that results will wear away quickly and should only be used for regular, daily road-driving. 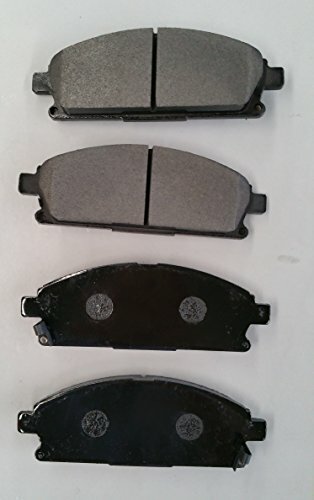 Because they are soft, non-metallic brake pads are not the top choice for people who drive a lot or put their vehicles through a lot each and every day, but for drivers who don’t put a lot of mileage on their vehicle every year, these pads are fine. If you do a lot of driving, you should either purchase the metal-type brake pads or be prepared to change your non-metallic ones frequently. Regular organic pads cause a lot of dust to cover components located near the brakes, along with other materials that are thought to be toxic to humans, which is one of the many reasons that the non-metallic brake pads were developed. If your vehicle doesn’t have large brake needs, these types of brake pads will suffice. Organic brake pads usually are made with glass or rubber composites, but they wear out quickly for most drivers. If you choose alternatives, the price may be a bit higher, but they will last you much longer than regular non-metallic brake pads. These types of brake pads are made of materials such as high-temperature resins, fibers, and fillers. They are softer and quieter than the semi-metallic type of brake pad, and they create more dust in the long run. 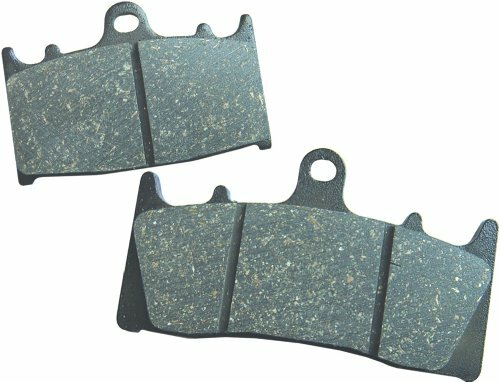 The NAO brake pads also deteriorate rather quickly, so it behooves the car-owner to pay attention to their pros and cons before purchasing a set of these brake pads. In the majority of vehicles sold today, semi-metallic brake pads are found. Made with a combination of metals and synthetic components, they are a mostly metallic hybrid compound. An organic resin seals all of the materials together, and they are then molded into various shapes and baked in a furnace to harden them. Semi-metallic brake pads are very durable, as well as heat-resistant and resistant to wear. However, because these pads have a lower friction coefficient when it comes to lower temperatures, they need a little more pedal power when the brakes are cold. Semi-metallic brake pads are usually made of either sintered graphite, iron, or steel, and, therefore, they are great when you need the high-performance capability in your vehicle. In fact, these types of brake pads are perfect for heavy vehicles and performance vehicles because they are sturdy, well-made, and diverse brake pads. They contain up to 65% metal, but they also are noisier to operate, wear down your rotors a lot faster than other types of brake pads, and don’t always perform well at low temperatures. If you own a light compact car, basic organic brake pads will be just fine. They are quiet, inexpensive, and have enough stopping power for your needs. If you notice a lot of dust build up in the brake area, you can substitute these types for a ceramic brake pad. More often than not, midsize cars need a low-metallic NAO set of brake pads. This is because of the vehicle’s size, which causes it to need better-stopping power. The low-metallic NAO brake pads can be a little noisy, but again, if the noise bothers you, you can always switch to the ceramic type of brake pads. If your vehicle goes from 0 to 60 MPH in no time, it also needs to go from 60 to 0 in record time, and therefore, the semi-metallic brake pads will work best for most sports cars. You simply need high-quality brake pads when you have a vehicle such as this. All vans, SUVs, and trucks need heavy-duty brake pads because of their weight and the fact that they need the best braking power possible. You should use semi-metallic brake pads or pads with a high metal content. Consider this: the more braking power you need, the higher the metal content should be in your brake pads. They may be a little noisy, but they are necessary for your safety. Anti-lock braking system (ABS): this system has three main components – individual wheel speed sensors, a hydraulic actuator, and an electrical control unit. They work together to stop your brakes from locking up when you slam on your brakes or pump them in fast motion. Each of the wheels is controlled individually, which does a great job of maintaining traction. Advanced emergency braking system (AEBS): in this type of system, there are sensors that monitor how close a vehicle is to another vehicle or object; when this happens, an emergency braking mechanism is automatically activated so that you don’t have a collision. Brake-by-wire system: this is a system of electronic wires that send signals to the car’s computer whenever the brakes are pressed. It measures the electrical resistance first, and the computer calculates the applied force, applying it to the hydraulic pump system. The mechanisms that are used to control both the emergency brake and the parking brake are the same. The difference is in the way that the vehicle responds when using each of these brakes. The emergency brakes are used to keep a vehicle from rolling from its spot when the car is parked and to keep from crashing if the regular brakes suddenly fail. In other words, emergency brakes are a backup measure for the rare occasion when something goes wrong with your main brakes. Hydraulic brakes are operated via hydraulic pressure, hence their name. They are a system based on the principle of Pascal’s Law, which states that when pressure is exerted in any part of a confined incompressible fluid, it is transmitted equally in all directions, resulting in pressure variations that stay the same. There are two main types of hydraulic brakes, which are listed below. Dual-circuit hydraulic brakes: consists of two command circuits; one is activated when you apply the brakes, and the other is controlled by the car’s computer and calculates the applied force before applying it to the hydraulic pump system. 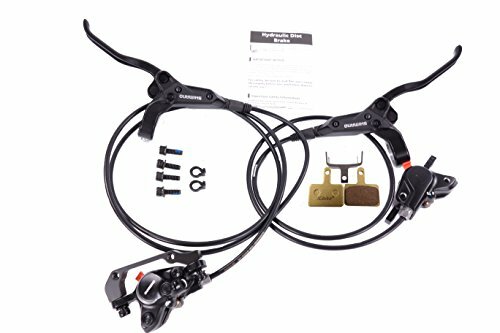 Single-circuit hydraulic brakes: this system has a master cylinder connected to various metal pipes and rubber fittings that are attached to the wheels’ cylinders. Each wheel has opposing pistons on either a drum or band brake, and the pistons are pushed apart when pressure is applied. Brake pads are then forced into the wheel cylinder to stop the vehicle. Disc brakes: this system uses a wheel brake which slows the car’s wheels’ rotation; the brake pads are then pushed against the rotor with a set of calipers. Drum brakes: this system consists of a metal brake drum which covers the brake assembly at each of the wheels. There are two curved brake shoes, and they expand outward to stop or slow the drum, causing it to rotate with the wheel. If you park your vehicle on an incline and don’t want it to roll downhill, using the parking brake is necessary. Parking brakes usually consist of small pedals located near the side door on the driver’s side, underneath the steering column. They can also be located by a lever in the console in the center. In either case, mechanical force is necessary for the brakes to operate properly. In some newer models, a simple button is sometimes used instead of a lever. There are two different types of power brakes, described below. Air brakes: instead of hydraulic fluid, air is used in this system to activate a basic drum or disc brake; this type of system is most often used in vehicles such as trailers, buses, and trucks. Power brake booster: the vacuum power that is produced naturally in a vehicle’s engine is used in order to amplify the driver’s foot pressure; this will stop nearly all types of vehicles, including very heavy ones. ABS Warning Light: The ABS warning light is located on the instrument panel and warns the driver whenever a problem occurs with the ABS system. If the ABS warning light is on, it is imperative to get your vehicle to a repair shop as soon as possible. Accumulator: The accumulator is used mostly for ABS systems and consists of a pressure storage chamber used to power-assist the brakes. When brake fluid is pumped into the accumulator, it compresses nitrogen gas and then stores up the pressure – up to 2700 PSI – which is then used to reapply the brakes during the hold-release-reapply cycle or for power-assist braking purposes. Anti-Rattle Clips or Springs: This is a hardware system which attaches to the brake pads and helps prevent them from vibrating and therefore making noise. Asbestos: Asbestos is non-flammable and is a mineral fiber that is heat-resistant and found in brake linings. They are seldom if ever, used nowadays because of the dangers associated with asbestos; instead, non-asbestos brake linings are now used. ASR: This stands for automatic slip regulation. It is a system used to control or stop traction. Backing Plate: The backing plate is a steel plate that the brake shoes, anchor pin, and wheel cylinder are attached to for a drum brake. The shoes are supported with raised pads on the backing plate, and if you notice your brake pads becoming worn, you should replace your backing plate, as well. Bleeding the Brakes: This is a procedure done to purge air and old brake fluid from the lines and the other components within the braking system. When your hydraulic system is open for repairs, you should always bleed the brakes. It also makes for good preventative maintenance whenever your brakes are relined or even to remove moisture contamination in the fluid. Brake Lines: This refers to a type of high-pressure steel tubing which is used to carry the brake fluid from the main cylinder to the wheel brakes. When repairing or replacing your brake lines, you should only use “approved” materials so that the braking system works properly from then on. Brake Pedal Switch: This is a switch only used in ABS systems and which signals the control module each time the brakes are applied. Caliper: This is the part of a disc brake that applies the hydraulic for so that the brake pads are pressed against the rotor. 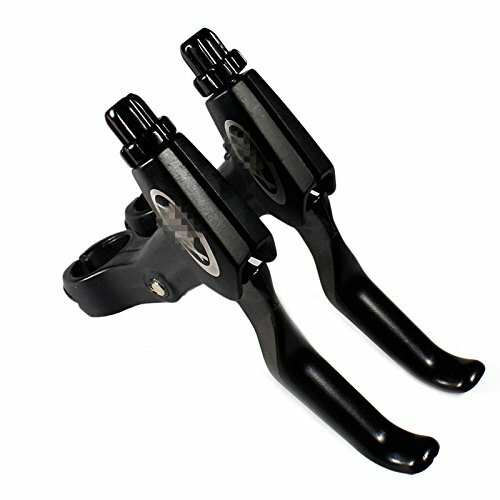 The caliper can have up to four pistons and usually either a “floating” or “fixed” mount. You can easily rebuild or replace your calipers if they are too worn-out. Combination Valve: A combination valve combines two or more valves in a single housing. These can include a pressure-differential, metering, and a proportioning valve. Cylinder Hone: A cylinder hone is a special tool that is used for resurfacing the cylinder bores that are located in either master or wheel cylinders. If you have a master cylinder with aluminum housings, these should not be resurfaced because otherwise, the honing will remove the protective coating inside of the bore. Dial Indicator: This is a specialized measuring tool that includes a gauge indicator, which can be used to check wheel-bearing play and rotor runout. Disc Brake: A disc brake uses either a rotor or a flat disc instead of a drum for the friction surface. With these types of brakes, special pads are pressed against both sides of the rotor or disc by the caliper assembly. Disc brakes handle higher temperatures than drums and won’t trap dirt or water, either. Drums: Drums are ring-shaped housing which provides the friction surface for the shoes in a drum-braking system. Most are made out of cast iron, but they can also be made of aluminum and have a cast-iron liner. Fluid Reservoir: This is the part of the main cylinder assembly which holds the fluid for the entire braking system. It is often made of a clear plastic to make it easier to inspect the fluid level on the inside without opening the entire reservoir. Fixed Caliper: This type of caliper is mounted rigidly over the rotor. It usually has either two or four opposing pistons that squeeze the pads against the rotor. Floating Caliper: This type of caliper slides over the rotor on guide clips or pins, enabling a single piston to squeeze both pads against the rotor. The pistons then move either outwards or in a retracting manner, which guides the caliper in an action that is necessary for the brakes to work properly. Hydro-Boost: This is a type of power braking system which uses hydraulic pressure from the power steering pump to provide not vacuum, but rather brake-assist. Integral ABS: In this type of anti-locking braking system, the main cylinder is combined with the hydraulic modulator and makes one simple assembly. It is a more expensive type of system because if either the hydraulic modulator or the master cylinder is defective, they both must be replaced. Loaded Caliper: This is a replacement caliper that consists of both the hardware and the pads, as opposed to purchasing the pads and other hardware separately. Master Cylinder: The master cylinder is a component in a hydraulic braking system which converts the force on the brake pedal by the driver into the pressure that applies the brakes. Metering Valve: This is simply a valve that limits the pressure applied to the front disc brakes so that the rear drum brakes operate simultaneously. Metering valves are mostly used on a few import applications. Modulator Assembly: This is the part of the hydraulic control unit that holds the solenoids and valves which regulate the braking circuits during the use of anti-lock braking activity. In integral ABS systems, the modulator is part of the master cylinder, while it is a separate entity in non-integral ABS systems. Non-Integral ABS: In a non-integral ABS system, a conventional master cylinder and vacuum booster is used and has a separate hydraulic modulator assembly. It is also called an “add-on” ABS system since it is essentially added into an existing braking system. Piston: The pistol is located inside a wheel cylinder or caliper and is moved using hydraulic pressure to apply the brakes. Pistons in wheel cylinders are usually made of steel, but caliper pistons can be made of aluminum, steel, or phenolic. Phenolic Piston: This is a plastic piston made of phenolic resin. They are lightweight, corrosion-proof, and will not transfer heat to the brake fluid in the way that the metal pistons do. Rotor: The rotor is a disc that provides the friction surface in a disc brake. The system contains pads that rub against both sides of the rotor to generate the friction needed. Rotors can be vented or solid. RWAL: Stands for “rear wheel anti-lock” brakes. They are mostly used by companies such as Chrysler and General Motors. Shoes: This is the name applied to the components of a drum brake and those that support the linings. The “primary” shoe refers to the forward shoe in self-energizing drum brakes, while they are called “secondary” shoes when referring to the shoes in the rear. Solid Rotor: This is a type of rotor that is invented and that has no cooling fins between its faces.